Tagged under Sunrise (Studio), Gundam, Series. The pros that Zeta has is it shows both Char and Amuro at their best and it was great to see them fight side by side, Haman Karn coming into the picture gave the series the much needed boost midway into it (although I feel she should have been introduced much sooner though), the plot was much better than the original and things didn't feel as one-sided as it did with the AEUG vs. Titans conflict and given a new dimension when Haman's Neo-Zeon came into the picture, awesome performances by top-class seiyuu, and Paptimus Scirocco was an excellent antagonist and one of my favorites of the Gundam meta-verse. The cons were the continued use of female characters as cannon fodder and useless characters like Katz Kobayashi, Shinta, Qum, and Rosamia Badam hanging around and taking up time that could've been used for better characters. When it came to the initial domestic release of the series, it was disappointing that the OP & ED songs were not included and the dub being so lame, so my initial score is based only on the original Japanese dub. 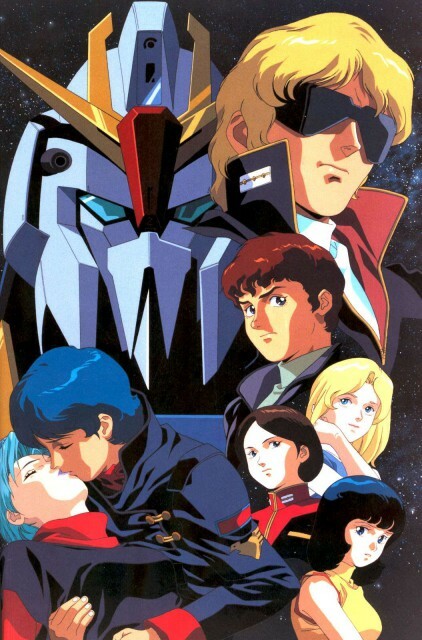 No feedback on Mobile Suit Zeta Gundam.